More than fifty years after they hit the music scene, the newest release by The Who proves beyond a shadow of a doubt that they were masters of not only recording classic albums, such as “My Generation” (1965), “Live At Leeds” (1970) and “Who’s Next” (1971), but also immaculate singles, at a time when the music industry was driven largely by the three minute radio friendly 45. Long recognized as the “best rock ‘n’ roll band in the world”, “Maximum As & Bs” released on UMC/Polydor, Netherlands, compiles 86 tracks spread across 5 CDs, includes every UK single released on the Brunswick, Reaction, Track and Polydor labels, and serves as proof positive that The Who were also grand masters of radio friendly singles, especially in the 1960s and 1970s when this was the benchmark of a band’s abilities and the ultimate measure of their success. 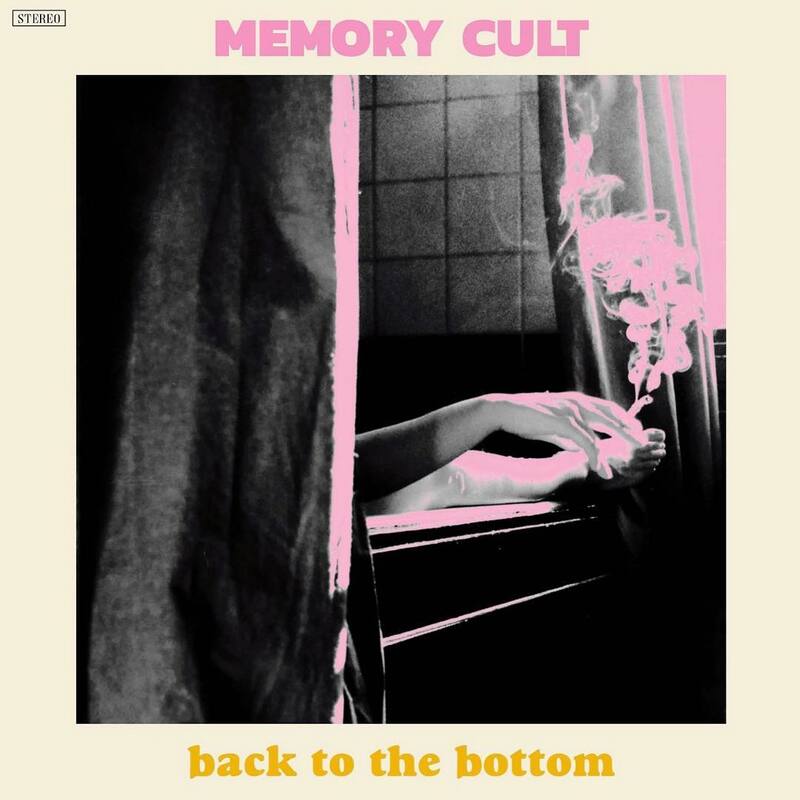 This massive collection includes every single by the original foursome of Roger Daltrey, Pete Townshend, John Entwistle and Keith Moon, as well as every incarnation of the band following the 1978 death of Moon and 2002 passing of Entwistle. The reality is that the band produced six top 5 hits, fourteen top 10s, twenty top 30s and twenty two top 40s on the UK charts, very impressive by any standards! Previous compilations of singles by The Who have suffered on many accounts, ranging from utilizing the wrong mixes or master tapes, to actually including LP takes, and never being anything approaching complete. Thus, it was with jaundiced ears that I gave “Maximum As & Bs” a listen. Much to my surprise and delight, the collection actually lives up to its lofty claim, and in incredibly crisp, bright sound, with a list price that won’t cause you to sell your auto or mortgage your home which has become the sad reality of many recent high profile releases. Disc two begins with the previously mentioned “Substitute” and in its 21 tracks, covers releases from 1966 through 1968’s “Magic Bus” and its b-side, the rather obscure “Dr. Jeckyl & Mr. Hyde.” Along with band originals are covers of two tunes by The Rolling Stones, “The Last Time” and “Under My Thumb” recorded between June 28 and 30, 1967, in support Mick Jagger and Keith Richards who were temporarily imprisoned on drug charges. Pete had vowed to keep recording Stones tunes until the duo were freed. The hits “I’m A Boy,” “I Can See For Miles” and “Magic Bus” sound better than ever and are joined by rare b-sides such as “Batman,” “Barbara Ann” and “Bucket T,” all part of the “Ready Steady Who” EP featuring the rocking “Disguises” as the a-side. Disc three starts with the smash hit (#4) “Pinball Wizard” taken from the massive selling 1969 double LP rock opera “Tommy.” This most fertile period of hits by the band runs through June, 1972’s #9 hit “Relay,” including four top 10 and six top 20 hits. Among the best known are the band’s famous cover of Eddie Cochran’s “Summertime Blues,” taken from the 1970 album “Live At Leeds” considered by many the best live album ever released, their #9 magnum opus “Won’t Get Fooled Again” in edited form, extracted from 1971’s best selling “Who’s Next” LP and top 20 single-only releases “The Seeker, “Join Together,” “Let’s See Action” and “Relay.” B-sides found here include the John Entwistle penned “Heaven And Hell,” and a cover of the Holland/Dozier/Holland classic “Baby Don’t You Do It” probably best known for The Band’s famous version. The final disc presents “Athena” and “Eminence Front” both from the 1982 LP “It’s Hard” which also featuring Jones on drums. Six live tracks including “I Can’t Explain,” “Join Together,” “I Can See For Miles” and “Behind Blue Eyes” released between 1984 and 1990 are wonderful examples of why The Who were long known as “The world’s best live band” although none of them charted. The six track, 2006 mini-opera EP “Wire & Glass” released following John Entwistle’s death in 2002 is evidence that the band could still rock, despite Roger Daltrey and Pete Townshend being the only remaining original members. 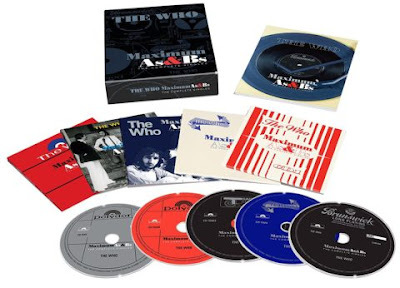 The box set ends with “Be Lucky” a song written for the 2014 “The Who Hits 50” double disc anthology of singles, which served as the definitive collection of the band’s singles prior to “Maximum As & Bs” release. “Maximum As & Bs: The Complete Singles” comes in a heavy lift lid box and includes a 48 page booklet, with track by track annotations by Mark Blake, artwork from The High Numbers “I’m The Face” and 2014’s “Be Lucky” the last 45s released by The Who to date, and immaculate sound thanks to the remastering job of Jon Astley at Close To The Edge. The five disc set lives up to its lofty ambition, and as such certainly deserves a place in the collection of every fan of The Who and indeed every fan of 1960s, 1970s and 1980s rock, in reality every fan of rock and roll! I can’t recommend this collection highly enough. At long last, it allows fans of The Who to have all of the band’s wonderful single releases in one wonderful package! Bravo! Glad this is reviewed here. Definitely to get, can't wait.